The other day I published an article about whimsical fruit and vegetable carvings. Well, here are some more. These photos with fun fruit and vegetable carvings might bring out the inner kid in you. Several of my readers and students have sent some fun photos to me. 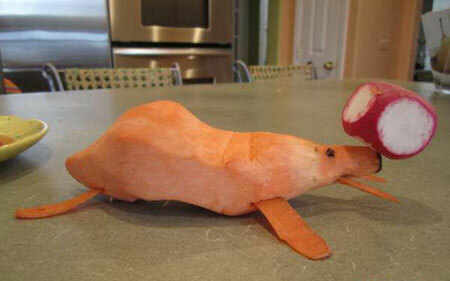 These cute fruit and vegetable carvings make me smile so, I thought you might enjoy them, too. Here is a really charming carved watermelon baby carriage complete with the baby that one of my students, Silas Souza made. Sweet isn’t it? Silas did a great job with this one. You might want to swipe this idea to use if you have any baby showers that you will be attending soon. The day before I was ready to publish this post, I co-incidentally received the following photos from blog reader, Tanya. So, I’ve added it here. It’s the same baby carriage theme but done a little differently. Tanya added a cute umbrella for the “baby ” in her bassinet. 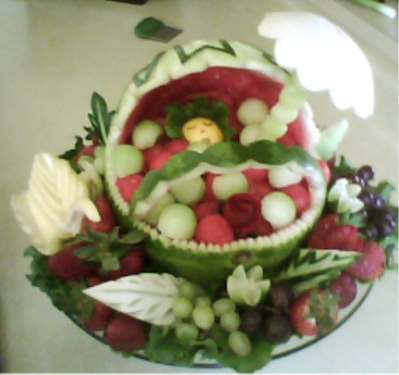 Then she added other pretty fruit and vegetable carvings around the base of her bassinet. Unexpected Fruit Carving for a Wedding. It’s not uncommon to see lovely fruit and vegetable carvings at wedding receptions. Well, here is a different watermelon carving design done by Zev Messinger. This is a Batman watermelon carving that he actually carved for a wedding. Yes, a wedding! “Please see attached a custom job that I carved for a Bridal shower, yes the bride (oh and the groom) are both big Batman fans. 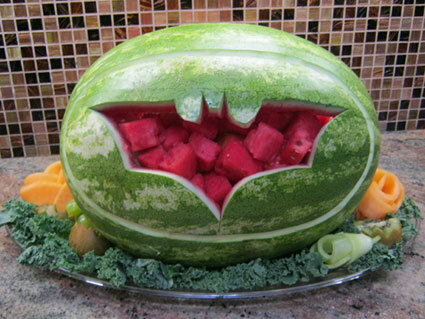 This Batman Watermelon Carving was made by Zev Messinger for a wedding! It it just amazing to me how many creative ideas people can come up with for creating clever fruit and vegetable carvings. 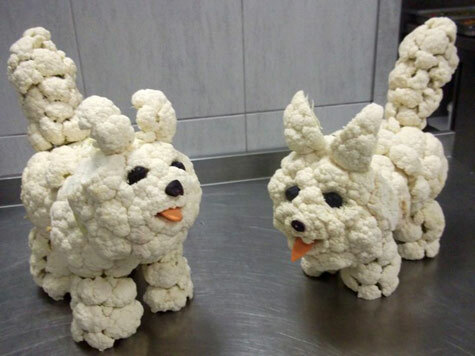 These cauliflower dogs are adorable. I wish I could give credit to the artist but I don’t remember how this photo came to me. It makes me smile so I had to share it here. 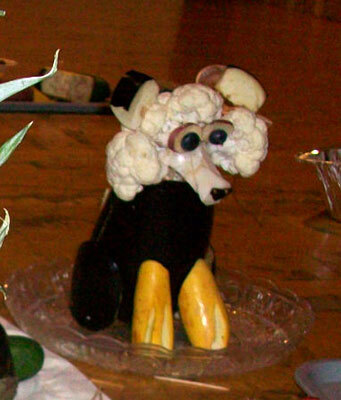 Here as another really cute dog made with cauliflower as well as eggplant for the body and yellow squash for the legs. It was sent to me and made by one of my students Sheetal Patel. You may have noticed in a previous article here on my blog. But, it is so cute I wanted to share it again. Here is what Sheetal included in her email to me. 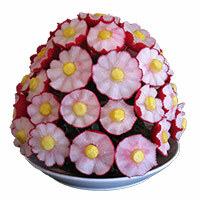 “I like ur programs and fruit carving lessons are very good and interesting. 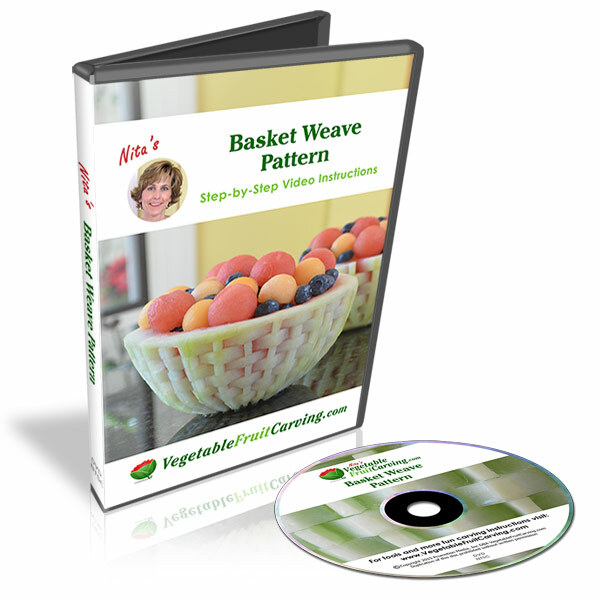 I love to learn different shapes made out of fruits and vegetables. Thank you for your help. 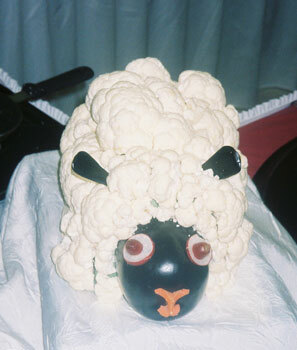 Here is another fun animal made from cauliflower by James Perales. 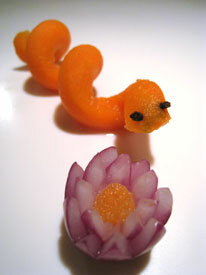 Here are a couple of whimsical fruit and vegetable carvings made by one of my blog readers, Robert Weil. I really like how imaginative the yam seal balancing the ball is. Very cute and creative. The yam looks like one of those veggies that Robert may have picked up and thought it looked like the shape of a seal, and so made it into one. Fun isn’t it? I hope that you enjoyed seeing these photos of lighthearted and fun fruit and vegetable carvings. Sometimes carving fruit and vegetables is all about making something really beautiful and impressive and sometimes it’s just about having some fun and making people smile. Have some fun making your own whimsical fruit and vegetable carvings! 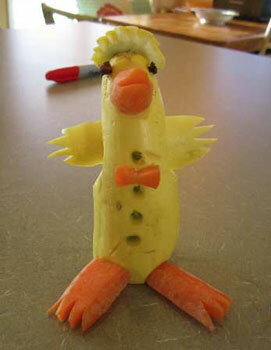 You might enjoy seeing more whimsical fruit and vegetable carvings on my previous blog post. 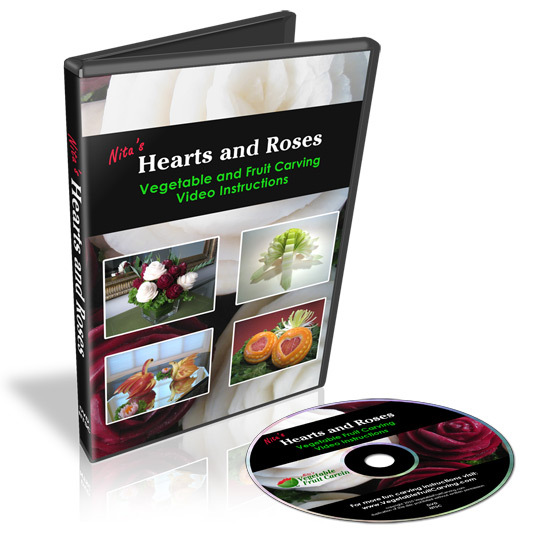 You might also like to see some fun vegetable activities for kids that feature easy to do fruit and vegetable carvings. It is very nice of you to teach us the carving online. It gives lots of importance to person like us as we cannot afford to learn it through the training institutes since the fees are very expensive. Hope you will continue doing it so. Nita, my girlfriend sent me the pictures from the watermelon festival in Italy…she did not even know I was taking your course!..I have not had any luck emailing you the pictures..
do you have these pictures? Thank you for thinking of me. I have already received those photos from a couple of students. Thank you for thinking of me and trying to send them. Hi .thank you very much for your beutiful and amazing lessons.unfortunately in my country (IRAN)the speed of internet is so low and I cant see your videos.but I can use your beutiful carvings .thank you very much again.